I love to travel and experience new things when I visit a new place. Life is more enjoyable when you can experience as much I can that the world has to offer. TripAdvisor sent me a code to test out their new booking service that lets you find great places and tours all over the world. I already use TripAdvisor to help plan my trips so that I can find fun new places and experience something new so this makes the process even better. 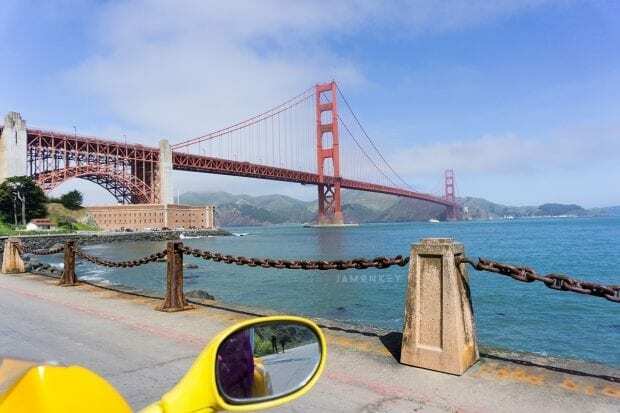 For this adventure, I booked a GoCar tour of San Francisco. Scroll to the bottom to see our fun GoCar video! To find and book your next adventure head to the Things to do section of TripAdvisor after you have searched a city. I had searched things to do in Atlanta, Gatlinburg, Cape Canaveral, and finally San Francisco. You can find sightseeing tours, museum tickets, VIP experiences and more. What I love about TripAdvisor is that you can save things you are interested in for your trip planner. I make one for all of my trips so that I can easily bring them up on the TripAdvisor mobile app while I'm in the city. I can save these things to do but also restaurants I'd like to eat at as well. After I found something fun to try I was able to book the experience right on TripAdvisor. I knew I wanted to explore for a few hours so I booked a 3-hour tour with the GoCar so that we could see as much of the city as possible. We ended up adding another hour on because we were having such an amazing time. The folks at GoCar were super awesome and helpful. I want to do these tours in all the cities I visit now because it was such a fun experience. After booking online I was given a printout with our reservation on it. The GoCar rental had my name on file when I arrived as well. We were able to drive all over the city and experience it like a true tourist. The GoCar is a GPS enabled tour so while you drive the designated paths in the city the car (who is a she) tells you about the history, fun facts, and what the hot spots are. The car has quite the personality and refers to herself in the first person which was pretty hilarious. The highlight of the tour is seeing the Golden Gate Bridge. The weather was perfect and it truly is a beautiful bridge. GoCar Tours are available in other cities as well. You can find all sorts of great adventures for your next trip with TripAdvisor. 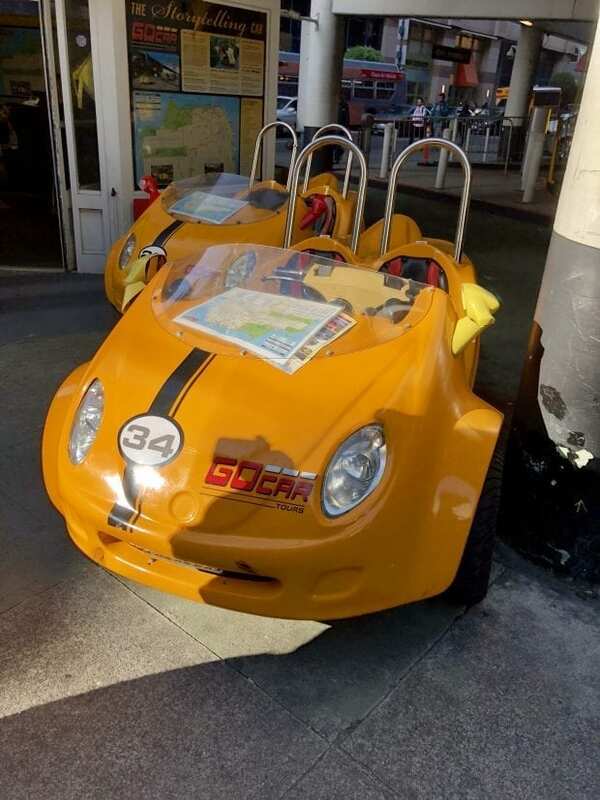 Here is our GoCar Tour through San Francisco. What a fun way to see a city! And you had such great weather, too! I think I need this in more cities. I would LOVE to try this!